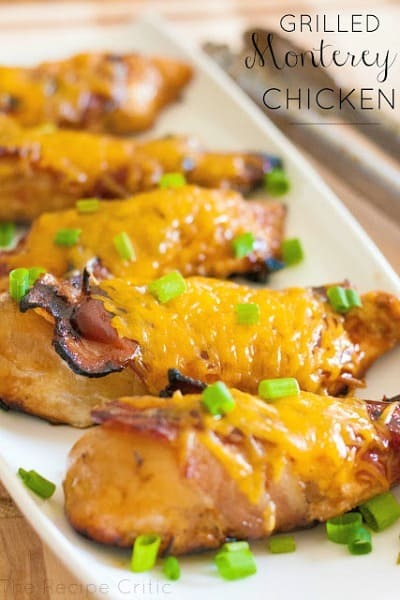 Tired of the same old chicken recipes? Ya, me too. 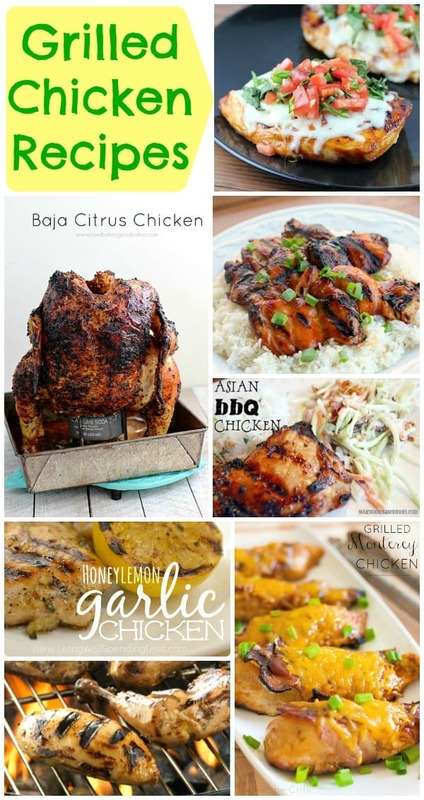 I started searching for creative ways to grill chicken and I found so many delicious grilled chicken recipes! I want to try all of these recipes this summer and I’m sure my husband will be excited to be the official taste tester. This is a collection of recipes from other talented bloggers and kitchen experts. To view the full recipe for each, simply click on the titles of the recipes and they’ll open in new windows for you. 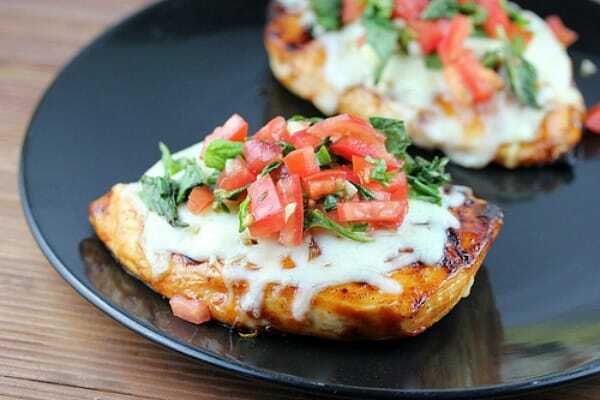 Bruschetta is one of my favorite appetizers so I know I’d love this Bruschetta Chicken (pictured above) by Blog Chef. Mmm…just look at all that melted cheese & delicious topping. 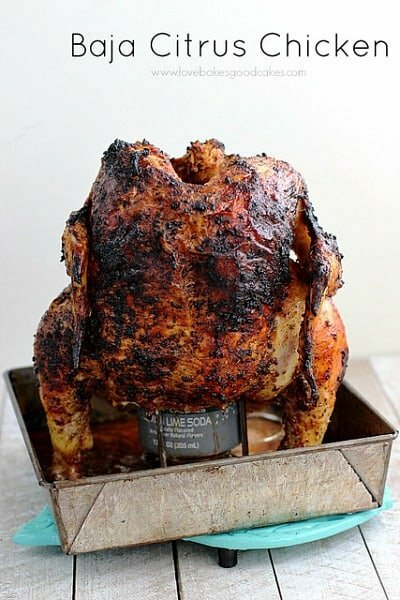 I’ve never tried making a chicken over a can but this Baja Citrus Chicken by Love Bakes Good Cakes looks so yummy! I may need my husband’s BBQ skills for this one. 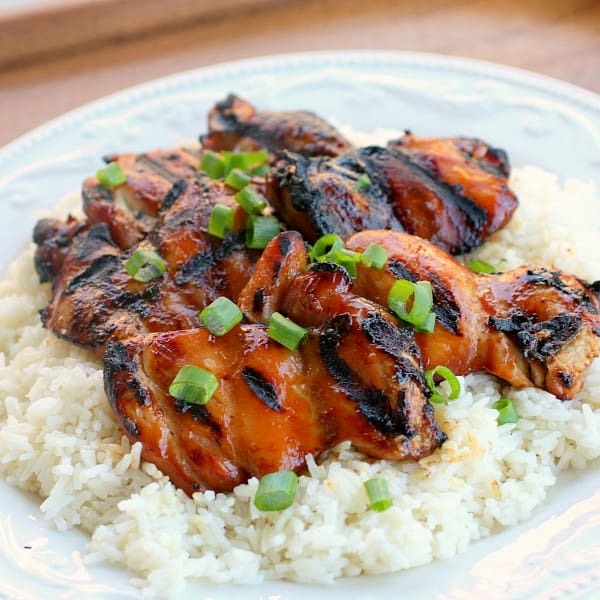 With Worcestershire sauce, soy sauce, bacon and more, this Grilled Monterey Chicken by The Recipe Critic would be a big hit with my husband. This Hawaiian Grilled Chicken by The Girl Who Ate Everything looks like it’s packed full of flavor. The tip for the coconut rice sounds really tasty. 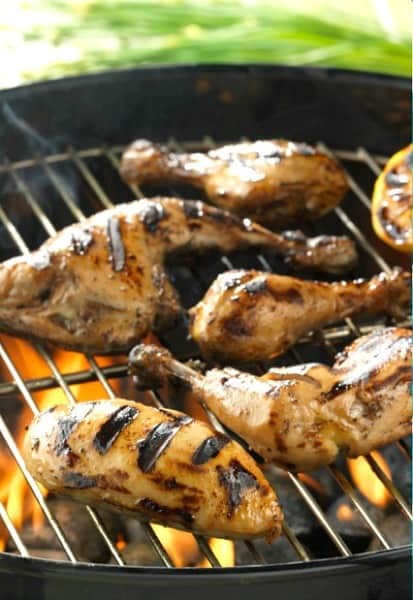 With a title of The Best Grilled Chicken Recipe Ever, how could you not want to try this recipe by Freebie Finding Mom. My husband loves Asian food but we can’t eat at Asian restaurants because of my son’s food allergies. 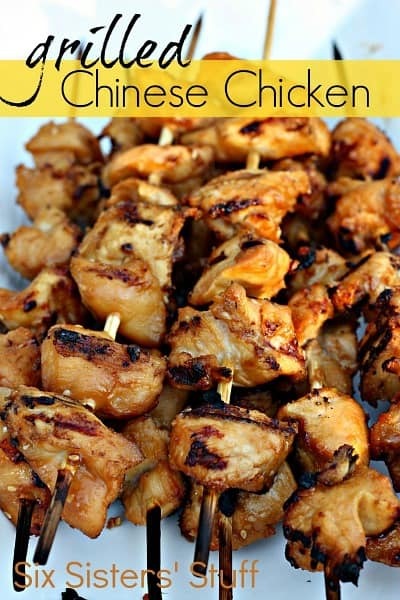 This Grilled Chinese Chicken Kabobs recipe by Six Sisters’ Stuff looks like a recipe we could tackle at home. 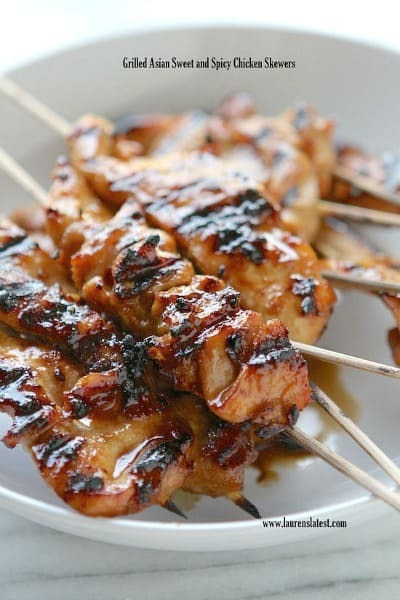 This homemade Asian BBQ sauce on these Grilled Asian Sweet & Spicy Chicken Skewers by Lauren’s Latest looks delicious! It looks like you’d need a few extra napkins but it would be worth it. 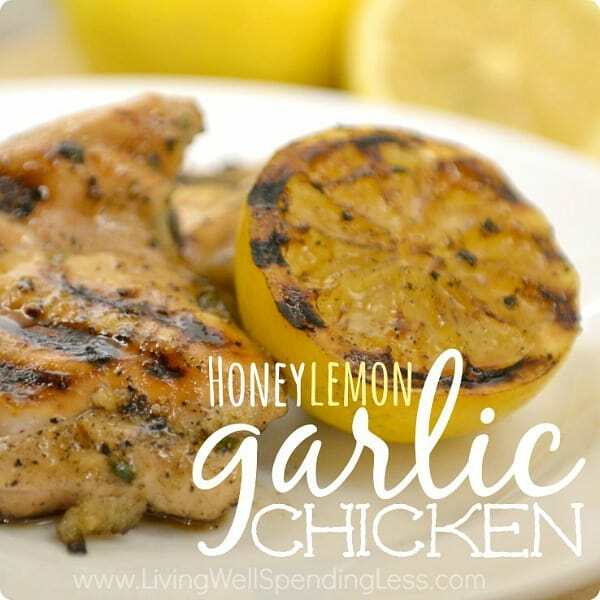 Here’s a really unique grilled chicken recipe – Honey Lemon Garlic Chicken by Living Well Spending Less. 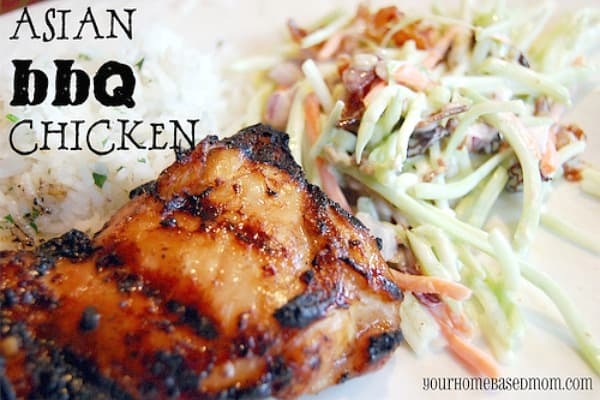 This Asian BBQ Chicken by Your Homebased Mom looks really easy to prepare. You will have to start preparing for it in advance though so the chicken has time to marinade. Visit our Easy Party Food & Family Recipes page for even most tasty ideas.